Pretty Boy Music proudly presents the brand new single “Pichlee Galee” by debut artist Onkar Sumal. This song is about to cause major shockwaves on the British Asian Music Scene and is tipped to become one of this Summers biggest tunes. 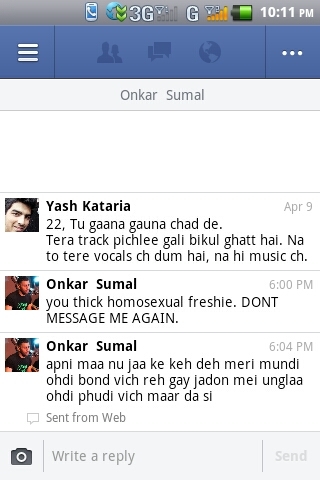 Onkar Sumal is a UK Born artist making his singing debut with his amazing new vocals. His fresh new look and all round musical swagger is about to take the industry by storm and his innovative style is set to raise the standards of the game. Although he is making his singing debut he is by no means a stranger to the industry- fans will already know Onkar Sumal for his previous smash hits in the UK Asian Music Scene with his rapping skills. He was previously known as “Lightnin MC” clocking up numerous hits with artists like RDB, Notorious Jatt, Manak-E, Ranjit Mani and many more. As an artist he has been rebranded- now bringing his singing talents to the forefront along with the whole new ‘Pretty Boy’ brand to compliment his arrival. As well as singing and rapping (in 3 different languages)- he writes his own lyrics, composes all his own songs and even contributes to the music production on his beats. He is a one of a kind artist in the Asian Music scene who can boast so many talents rolled into one and for this reason he is being compared to mainstream trendsetters like Drake. Pichlee Galee is an upbeat dance song comprising of fresh beats and strictly no samples. The song has a fresh feel and moves away from the typical folk bhangra sound of dhols and tumbis. There is an exciting music video currently under production which has an action packed Concept with Fast Cars, Beautiful women and a cunning storyline. The video is currently being prepared for release on all major Music Channels scheduled for airplay from May 2013. The song has been offered as a free download for promotional purposes and is currently going Viral all over the internet. Song download, behind the scenes footage, and all other information can be found on the official website- www.pichleegalee.com. The eagerly awaited debut album is currently under production and is expected to be completed by 2014. More information on the artist and future releases will be available on Onkar Sumal’s official website www.sosumal.com which is Launching to coincide with the Video release. 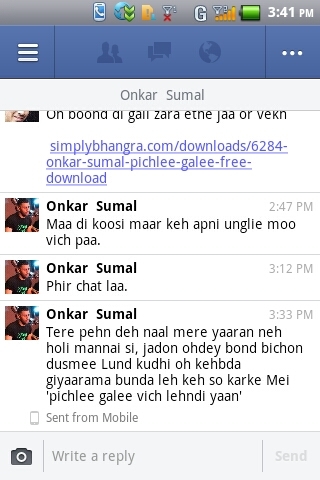 22ji, please have a look here to know what Onkar Sumal really is. The hype surrounding this track is unbelievable, yet the track is just another random inferior product. It’s good that he is giving it away for free, because nobody will buy it. That Brit Asia show was 4 years ago. People can change. If Brit Asia are so against these things why do they continue to play any video, regardless of content, when they are paid? ?